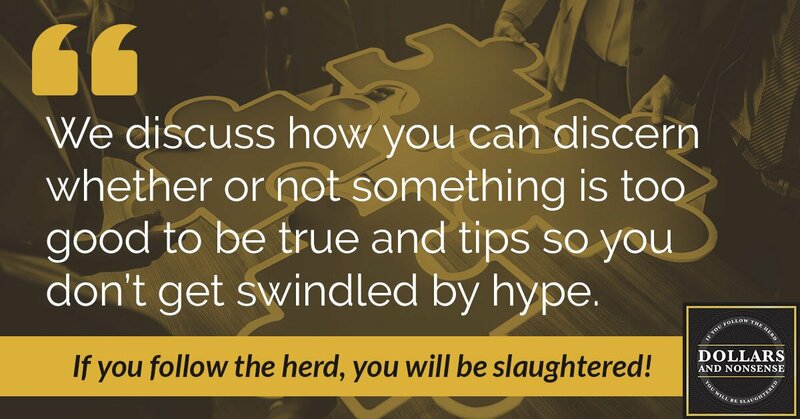 In this episode, we will discuss how you can discern whether or not something is really too good to be true. We’ll share some tips and thoughts so that you don’t swindled by the next fly by night salesman. 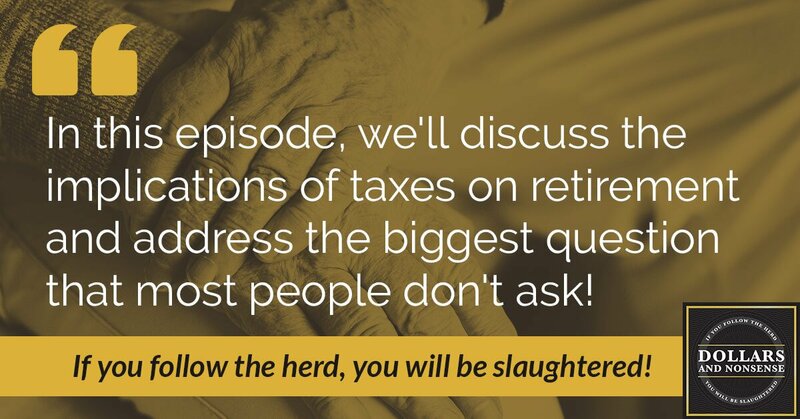 In this episode, we’ll discuss the implications of taxes on retirement. We’ll address biggest question that most people don’t ask, but should be aware of, when putting money away for retirement. Health care expenses are rising for most American families, and the costs don’t seem to be settling anytime soon. In this episode of Dollars and Nonsense, Nate and Holly explain the lesser known alternative options in health care that can save your family’s wealth and give you ease of mind, all while growing your money along the way. When you get all the facts and think outside the box, there’s no need to be scared of health care. In this episode, Nate and Holly share the three key steps to breaking free from burdensome debt and never returning to it. 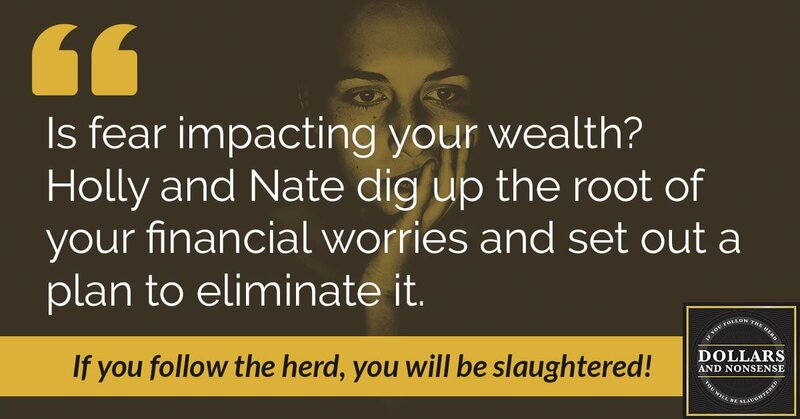 Learn how to get serious about the bills crippling your wealth goals and how to change your financial outlook moving forward. Don’t let your debt control you any longer. In this episode of Dollars and Nonsense, Nate and Holly discuss how your investor could be deceiving you when it comes to your average rate of return. This manipulative trick can disrupt your financial goals without you even knowing it. 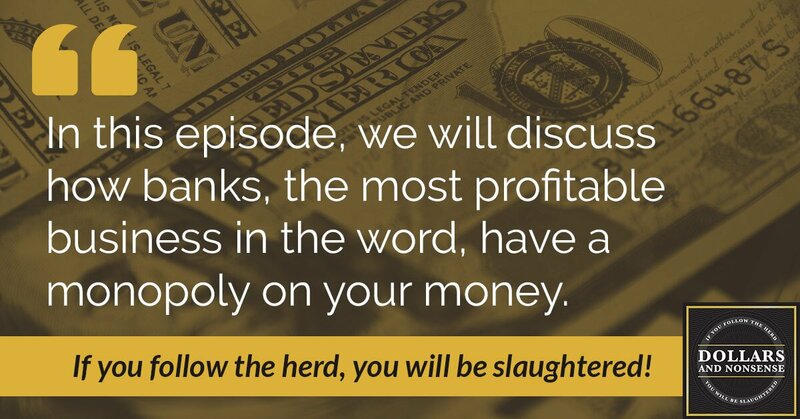 Tune in to hear how you can be proactive in your banking and separate yourself from the crowd to gain real wealth.